ROOTING AROUND: OUR FARM BLOG: Cheers to 25 Years! In 1992, our mother, Kathleen Barsotti, started Farm Fresh To You, our Community Supported Agriculture (CSA) Farm Box program. 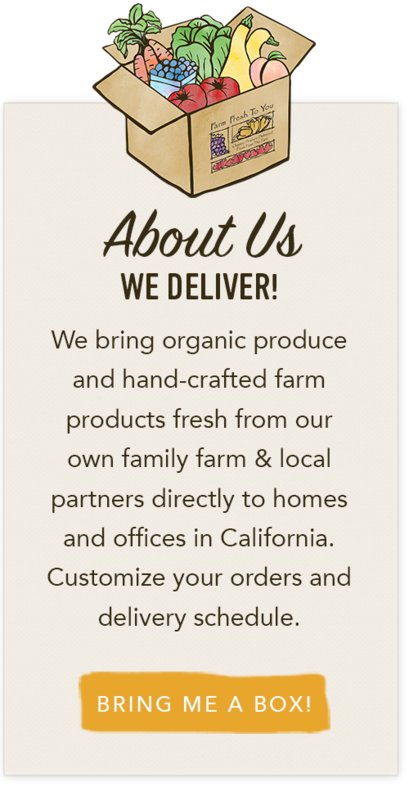 Realizing that support for organic agriculture would only grow if this “specialty” produce was more readily available, she expanded the traditional CSA model and added the innovation and convenience of home delivery. Our new organic produce delivery service started with a handful of customers and boxes being delivered in our grandparent’s Buick. It was crazy and wonderful to see more and more boxes leave our farm each week. Our mother managed every aspect of our farm and delivery service until July of 2000 when her battle with breast cancer ended at the age of 51. 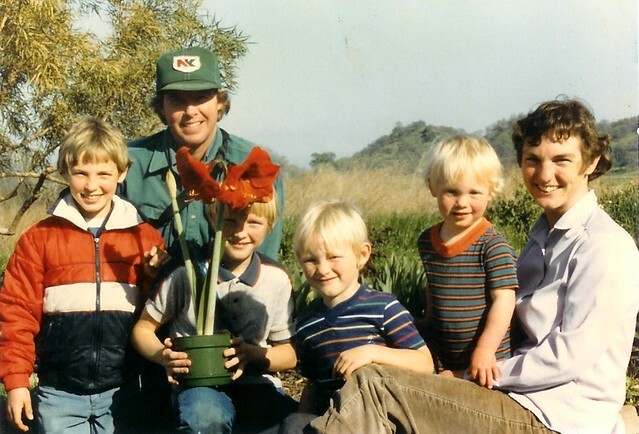 As we were growing up, she believed the way to instill a true love for and connection to the land was by giving us important roles in the day-to-day operation and building of our family farm. We are thankful and proud to be able to carry on her legacy today, each of us choosing the farm for our life’s work. 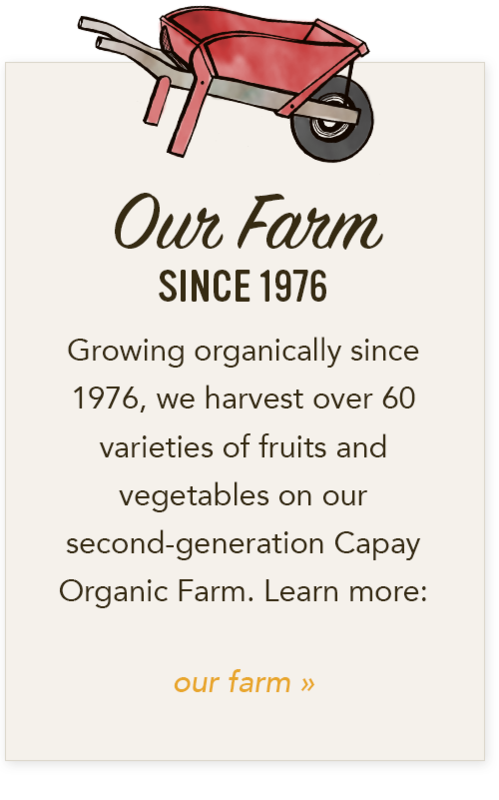 In 2007, we expanded our agricultural roots and began farming in areas of Southern California as the warmer winters allowed us to lengthen our growing season and extend the availability of some of our most-loved heirloom and traditional crops to residents looking for trusted, organic produce in the Los Angeles area. 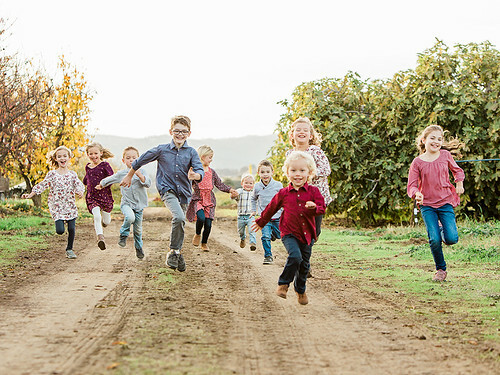 This time it was our turn, as the second-generation, to farm in a new region, face new challenges and grow new farmer and community relationships. 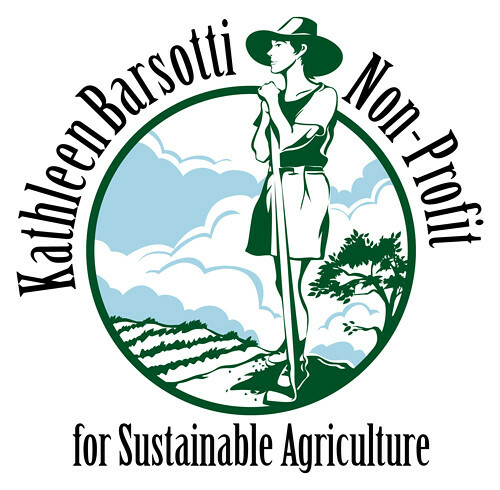 Founded in 2009, the Kathleen Barsotti Non-Profit for Sustainable Agriculture (KBNP) was founded in memory of our mother. 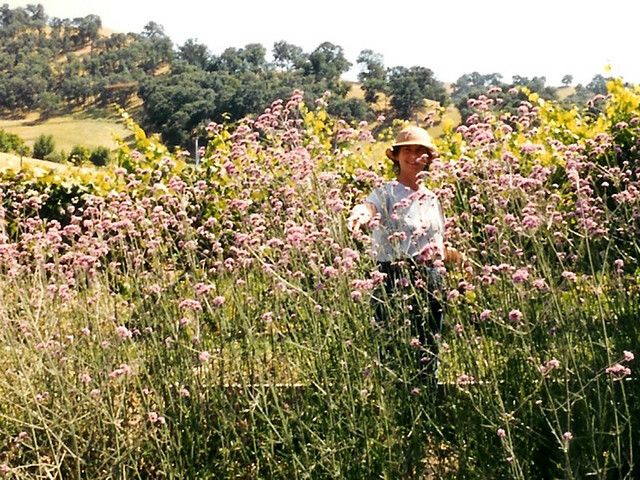 The mission of the non-profit is to support the progressive growth of sustainable farms and their employees. 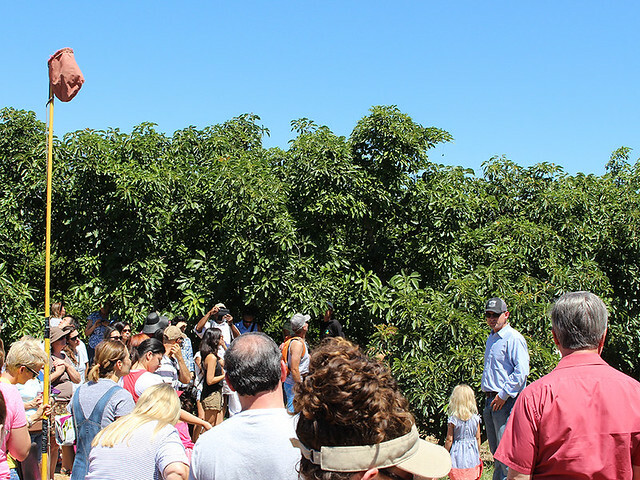 KBNP seeks to increase the resources that are available to farm workers and their families and to connect those individuals with the resources that do exist. Programs include providing hundreds of backpacks filled with school supplies to the children of farm workers, providing a yearly college scholarship to a young-adult with ambitions of working in sustainable agriculture, supporting English as a second language classes, and educating the public on the importance of sustainable farms and their employees. 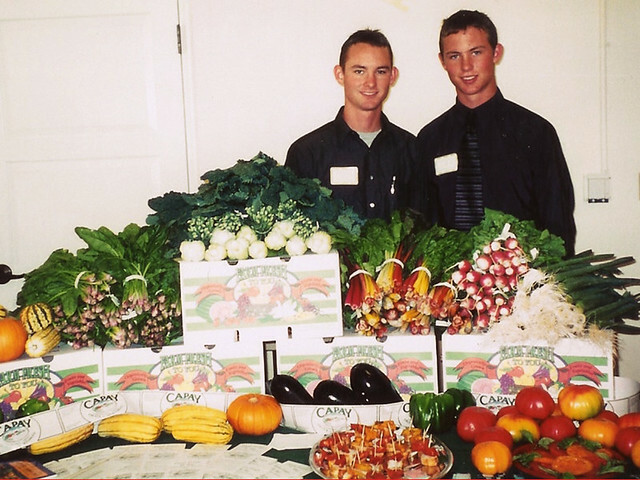 Over the last 25 years, with your help, we have been able to create lasting change in our community by joining forces with organizations focused on healthy eating and sustainable agriculture. 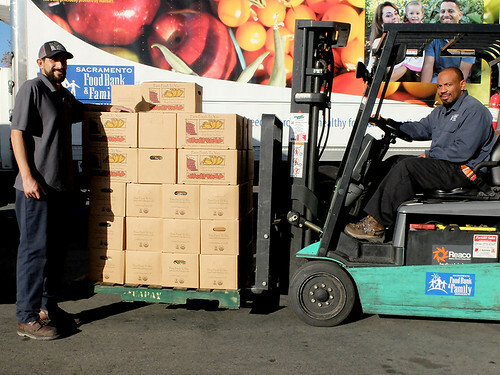 Since the inception of our Donate-A-Box program, over 45,000 Farm Fresh To You boxes have been donated to partner food banks and delivered to individuals and families facing hunger! We are proud to support numerous farm-to-school programs and health organizations. Thank you again for your contributions and continued support. While we have grown a lot since the early days, we have stayed true to our roots (pun intended). To us, a direct relationship with your local farm is one of the best things you can do to contribute to the sustainable agriculture movement and your local community. We thank you for your support and for helping us build stronger roots for a better food and agriculture system and a better future for generations to come.